To many Nottinghamshire is merely the home of legendary Robin Hood and the location of Sherwood Forest, but there is more to this county than simply the folklore. This is where the likes of Lord Byron and D.H. Lawrence found their inspiration to write, and the home of the Pilgrim Fathers. It is a place with a rich industrial and scientific heritage and is home to not one, but two universities. It is the home of the Bramley apple and surprisingly the place where HP Sauce comes from. It is also where Ibuprofen was first created and the MRI scanner was invented. 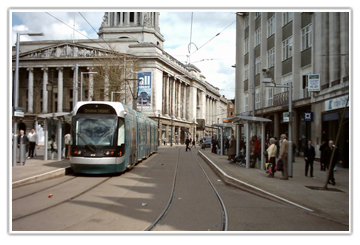 Travel time to London from Nottinghamshire is around two hours by train and around three hours by car. 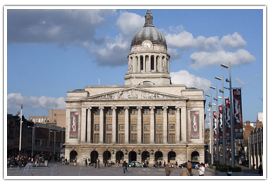 The county capital, Nottingham has been a city since 1897. In times past it was the center for lace making in the country, an industry which blossomed after the invention of Arkwright’s Spinning Machine here in 1769. The town grew out around the castle and the medieval marketplace and is now home to two universities and three of the oldest sporting clubs and societies in the country. People come here to have their pictures taken alongside the bronze statue of Robin Hood, visit the Great Oak in Sherwood Forest and enjoy a drink in what is considered to be the oldest pub in Britain. 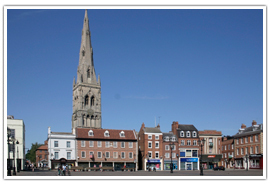 The largest town in Nottinghamshire it is named for the River Maun which flows through the town. Originally built to house the workers from the nearby coal fields it soon established itself as a manufacturing town. It is home to an ancient Saxon church and a plaque now marks where the central oak of the once vast Sherwood Forest once stood. The ruins of the castle still stand watch over this picture perfect town. The cobbled market square still plays host to regular markets. Many of the buildings are of historical interest as this was once an important hub of the textile trade. It is a town with strong links to the Civil War as it was a Royalist stronghold persistently besieged by Parliamentary forces. There are plenty of open spaces and parkland to enjoy when you visit the county. Most of the oak trees within the forest are over five hundred years old. The forest has strong links to the legend of Robin Hood and is the site of an annual festival in his name. Family nature trails make exploring the forest fun and there is plenty of wildlife to discover including Dexter cattle and Hebridean sheep which graze the ancient heathland. The forest is open daily and though free to enter there is a car parking charge of £3.00 to pay. 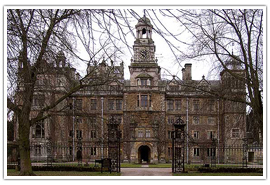 Located close to Ollerton the 150 acres of parkland which surrounds Rufford Abbey is a popular attraction. The abbey dates from the 12th century and its ruins make for some great exploration. Now home to a country house the grounds and gardens are the perfect place for a picnic during the summer. The park is open daily throughout the year. With almost 3,500 acres of woodland, there is plenty to discover here. Visitors can take to cycles to explore, or get a unique view of the park from the treetops via the Go Ape Tree Top Adventure. There are many outdoor activities which take place in the park that the whole family can get involved in. The park is open daily and entry is free, however, there is a car parking charge to pay. Standing proudly over the city Nottingham castle has a long and bloody history. It was where the English Civil War began and the legend of Robin Hood finds a home. The original medieval castle was ruined after the Civil War and on its site, a ducal mansion was built in 1674. 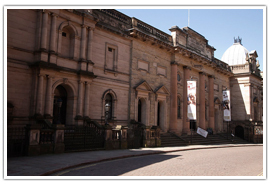 It became the first municipal art gallery and museum to be found outside of London in 1875. Tours of the castle take in the history of the site and the tunnels and caves which lie beneath. 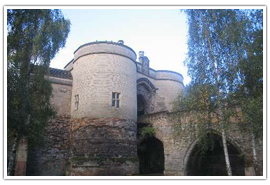 For more information about tours and prices visit http://www.nottinghamcity.gov.uk/castle. Otherwise referred to as the Cathedral of Nottinghamshire it has stood as the center of religious activity and pilgrimage for almost a millennia. Its architecture has been described as ‘quirky’ and it was one of the favorite places of Sir John Betjeman. The site was originally the location of a Roman villa before the King of Wessex granted permission for the building of a church on the site in 956. The building was used as stables during the Civil War by the Roundheads. Open between 8.00am – 7.00pm daily. 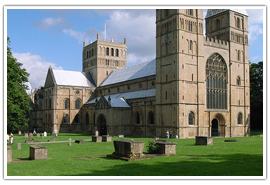 Visit http://www.southwellminster.org for more information about visiting. Located within the Lace Market the Galleries of Justice house the museum of crime and punishment. The building is the city’s old Gaol and courthouse and is widely reputed to be one of the most haunted locations in the country. As the building was where the Sherriff of Nottingham had his base there is, of course, Robin Hood themed exhibition aimed at the younger members of the family. For information about events and activities visit http://www.galleriesofjustice.org.uk. Make sure you do more than take in the history of the county by exploring what else it has to offer. 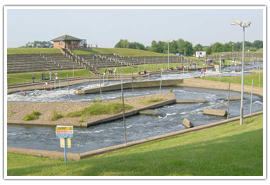 Located in Farnsfield, Newark; Wheelgate Parks offer a fun family day out. Home to an outdoor water park as well as plenty of indoor rides and activities the park has something for everyone. Children will enjoy visiting the farm and getting to know the animals in the petting zoo. The tropical house is home to a wide selection of reptiles many of which you can enjoy a hands-on experience with. 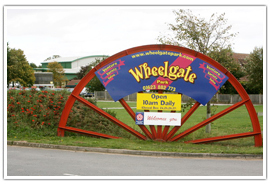 For more information about opening times, activities and prices visit http://www.wheelgatepark.com. Located within the Holme Pierrepont Country Park is also home to a family fun park with rides and attractions for the whole family. There is an exciting whitewater course for those into canoeing and kayaking, plus outdoor laser tag for those looking for a different kind of excitement. 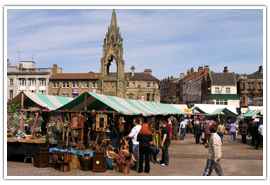 For more information about activities and prices visit http://www.nwscnotts.com. Take to the track with ELK Motorsports. 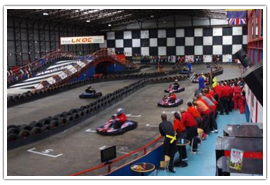 Located in Newark their racing track has been designed to offer speed and excitement as well as allowing drivers to show their skills behind the wheel. For more information about booking and prices visit http://www.elkmotorsport.co.uk. Enjoy a relaxing afternoon tea in some of Nottinghamshire’s most delightful surroundings. Located in Thorseby Park in Ollerton, afternoon tea is served here every day between 3.00pm – 5.00pm. This beautiful Grade I listed hall is located on the edge of infamous Sherwood Forest and is surrounded by stunning Capability Brown landscaped gardens. A traditional afternoon tea costs around £14.50. Visit the Warner Hotels website to find out about menu options. Located at Colwick Park, the hotel serves a traditional afternoon tea between 3.00pm – 6.00pm daily. Prices start at around £15.00 and selections include finger sandwiches, cakes, and sweet pastries. 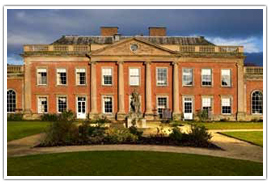 Visit the Colwick Hall Hotel website to discover your menu options and prices. 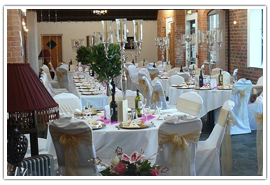 Nottinghamshire offers some wonderful venues in which you can celebrate your big day. Located within the Rufford County Park in Newark, Rufford Mill offers the perfect venue for a country themed wedding. What could be more romantic than spending your big day on a beautiful historic estate complete with the ruins of an ancient abbey, lakes, and woodland? Rufford Mill was once a corn mill but has been converted into a unique wedding venue. Located in Burntstump Country Park in Nottingham, Cockliffe Country House offers a wonderfully romantic wedding venue, finished off with a bridal suite complete with a traditional four-poster bed. The house dates from the 17th century and looks similar in style to a French Chateau. Located in Papplewick in Nottingham, Goosedale is set within 100 acres of stunning grounds and gardens, making it a tranquil haven just outside the city. There are a number of rooms to choose from for your ceremony including the garden room or an outdoor marquee. There are more than fifty campsites and caravan parks in the county to choose from. 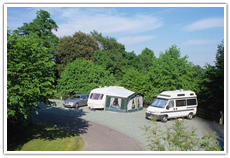 • Clumber Park Caravan Club Site – Lime Tree Avenue, Clumber Park, Worksop, Nottinghamshire. 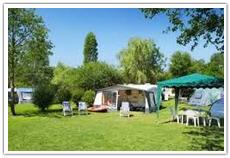 • Teversal Camping and Caravan Club Site – Silverhill Lane, Teversal, Nottinghamshire. • Lurcher Farm Cottage Certificated Site – Mansfield Road, Farnsfield, Newark, Nottinghamshire. 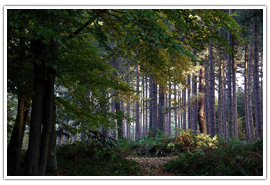 • Sherwood Forest Lodge Certificated Site – Kings Clipstone, Mansfield, Nottinghamshire. 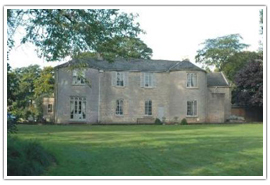 • The Royal Oak Certificated Site – The Green, Car Colston, Nottinghamshire. 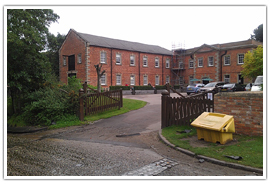 • River Gardens Certificated Site – Bothamsall, Retford, Nottinghamshire. 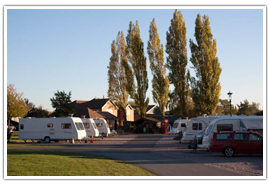 • Manor Farm Caravan Site – Manor Farm, Thrumpton, Nottinghamshire. 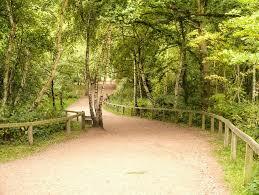 • Smeatons Lakes Touring Park – Great North Road, Newark, Nottinghamshire. • Thorntons Holt Camping Park – Stragglethorpe, Radcliffe on Trent, Nottinghamshire. 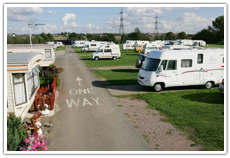 • Meadowfield Gardens Camp Site – Fiskerton Road, Rolleston, Southwell, Nottinghamshire.